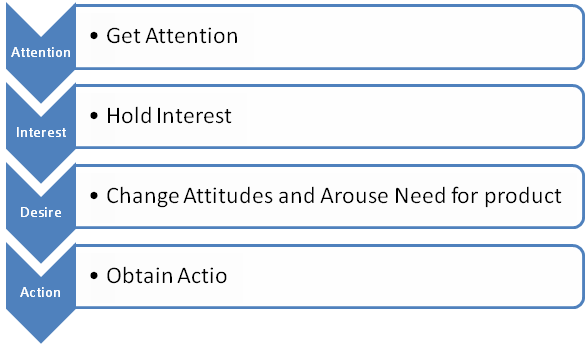 If you are marketer, you should have heart from Attention, Interest, Desire, Action also known as AIDA. It well known in marketing. It doesn’t matter if you get attention by a TV commercial, a newspaper ad or a banner. Actually every commercial or ad should run the whole cycle of AIDA. After getting Attention it should create Interest and more important Desire. Desire is ‘wanna have feeling’. If the Desire is there with your potential client, the Action to take should be clear in the commercial or ad. You want your potential client to do something as next step in the buying process. Online the Action is Call-to-Action. Often you need to click. In a TV or radio commercial the action can be to call a number or come to the shop to see, feel and buy. But an Action can also be to go to your website subscribe to the Facebook page of the company. This way your company will stay in touch with your client. Or in a popular word create Engagement. Within Engagement you can also use AIDA. With your company posts you bring your product, company or other interesting information under Attention. If possible you try to create Interest and more important Desire. And again you try to persuade you potential client to make an Action. Back to the action to go or click to your website. If possible you guide your potential buyer to the most relevant landing page for him at that time. On the landing page it is the same story, create Interest, Desire (wanna have feeling) and persuade him to an Action. Can we call it Agile AIDA? Like Agile software development?